So, don’t worry if you (deliberately ;)) forgot to change default database prefix while installing WordPress. You can take charge of WordPress security by following simple steps mentioned below. I recommend you to back up your website before proceeding and optionally, redirect your website users to a maintenance page. Let’s save the file back. Navigate to the database of your website from the list in left sidebar, if there are more than one databases. There may be other tables in your database depending on the plugins you have installed at your website. You have to include every table in the queries so that no table is left with default prefix. In the query results, replace wp_ with new prefix in the values in option_name column. You need to manually go through each row and update the values. In the query results, replace wp_ with new prefix in the values in meta_key column. Again, you need to manually go through each row and update the values. Grab your sandwich and cup of coffee. You are ready to test your website. 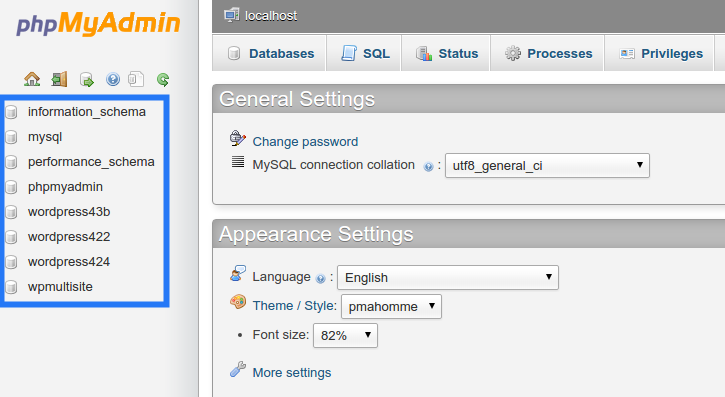 Just visit couple of pages at front-end and login to your admin panel to make sure everything is fine. Once done, you can keep backup of your newly updated database. If anything goes wrong or you want to share your experience, post a comment below.